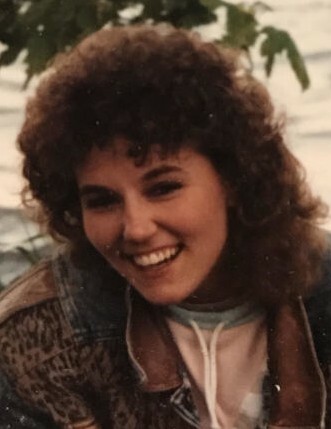 After a protracted battle with cancer, Deborah Nackers passed away on February 1st, 2019 in Neenah, Wisconsin at the age of 52. She was born March 11, 1966 to Herman and Sandra (Hoppe) Wheaton. Deborah married James Nackers on August 1st, 1992. She leaves behind her husband James Nackers; her daughter, Ashley Nackers (fiance Mike); brother Dean (special friend Gwen) Hoks; sister Kellena (Jerry) Steinike; niece Melissa (Jesse) Neidigh, Sandra (Nic) Wentz, Matt and Valerie Hoks. Deborah was preceded in death by her parents, Sandra Hoppe and Herman Wheaton, her stepfather Curtis Hoppe, and her nephew, Michael Hoks. Deborah worked at Rich’s for 15 years, and at Presto Products for an additional 12 years. Up until the end of her life, she loved to laugh and have fun in whatever she did. I would like to say a special thank you to her nurse Fran at Atrium in Neenah for the exceptional care that you provided my mother, you truly went above and beyond what we could have expected. Also to the residents at Atrium for making my moms last weeks of her life enjoyable, bringing her company and putting a smile on her face. I would like to thank Lynn West Foegen for providing my mother with friendship throughout the years and being there for our family for support. One last thank you goes to Dean Hoks for being there for my mother through her treatment and rehabilitation and giving her the best quality of life that she could have. As per Deborah’s wishes, we will not be holding any services for her. A celebration of her life may take place in the future.